“The Pearl of Africa - Uganda wants to strengthen its age-old economic, social and cultural ties with India. The Uganda Railway Infrastructure was built by Indians. Government of Uganda gets 65% of its income tax revenue from Indians settled in the country. I invite Indian companies to explore business opportunities in the economy of Uganda, which is growing at 6% per annum,” said Ms. Grace Akello, High Commissioner of Uganda in India at an interactive meeting with the top officials of All India Association of Industries (AIAI) and the World Trade Centre Mumbai on February 14, 2018. Ms. Grace further informed that Uganda is a gateway to the market of East African Community, which has a combined population of 150 million. Uganda has quota free access to the Chinese market for more than 650 products. Uganda also has access to the European and American markets under various treaties. “I invite all Indian companies to take advantage of the ambitious ‘Buy Uganda Build Uganda (BUBU) policy’ on the similar lines of ‘Make in India’ programme. “Uganda is blessed with tremendous potential for tourism as it is home to the longest river (Nile) in the world, the second largest lake (Lake Victoria) in the world, the second largest mountain (Mountains of the Moon) in Africa and 10 national parks” said Ms. Grace . Mr. Y. R. Warerkar, Executive Director proposed the vote of thanks. 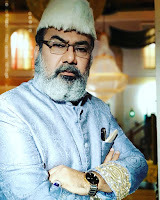 Mr. Madhusuhan Agarwal, Hon. Consul for Uganda was also present on this occasion. Photo Caption: H.E. 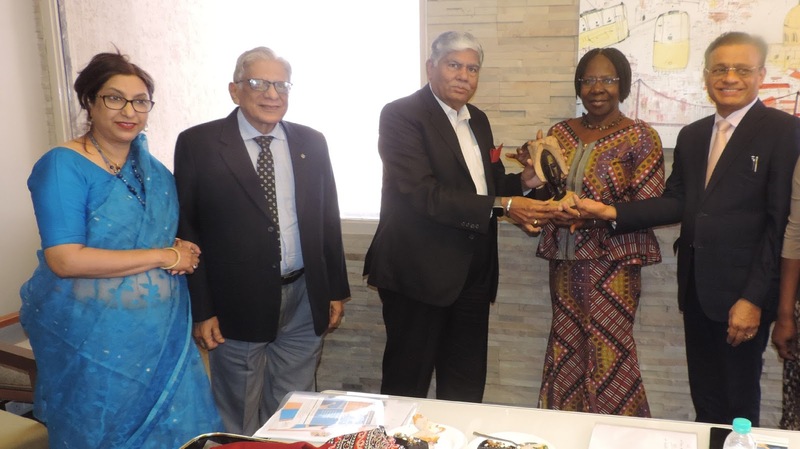 Ms. Grace Akello, High Commissioner of Uganda in India being felicitated by Mr. Vijay Kalantri, Vice Chairman, World Trade Centre Mumbai on the sidelines of an interactive meeting at World Trade Centre Mumbai. Also seen in the photograph are (from left to right) Ms. Rupa Naik, Senior Director, World Trade Centre Mumbai, Mr. Y.R. Warerkar, Executive Director, World Trade Centre Mumbai, Mr. Madhusudan Agrawal, Hon. Consul for Uganda in India and Co-Founder & Vice Chairman, Ajanta Pharma Ltd.